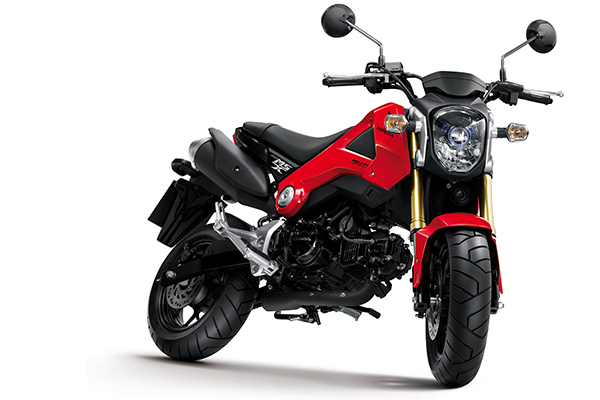 With everything seems to be quieter in the first month on 2013, the Japanese motorcycle manufacturer Honda just released it’s world debut of a small bike namely the MSX125. The small sized bike powered by a 125cc engine and Honda’s PGM-FI seems to be something worth to put some attention on it since there is nothing else much to do for us at the writing desk of Malaysian Riders news team. According to our source, the bike will be a 4 speed manual clutch system and although that doesn’t sound much; it surely is enough for what we call city commuting or skill practice to increase a rider’s bike handling techniques. There have been a video of the bike showcased and it is from our neighboring country and a lovely nation for bikers; Thailand. The video will further explain some rough details on the bike’s main focus of selling. 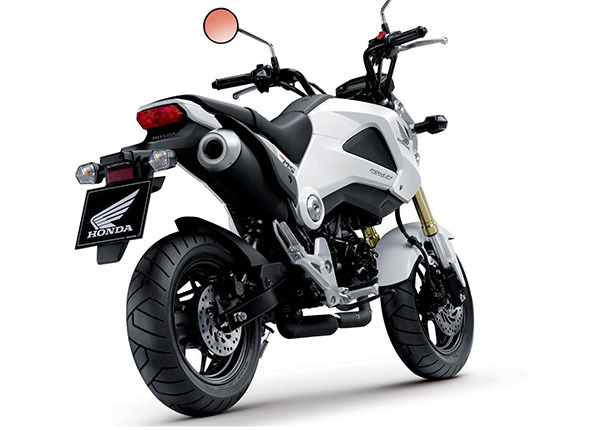 We haven’t really got any information whether the bike will be brought into out market or not, but for the sake of some exciting news on 2-wheels; the new Honda MSX125 is worth a shot of some reading on it. We really think that the bike have a great looks to it even for it’s size which can be a downside when it comes to taller rider. But it is not fair to judge when we haven’t really look at it in real life. We really hope that Boon Siew Honda can assist us on in the future regarding the MSX125 technical specs and whether it will be coming in to our market or not. Same goes to all the 500cc series which are still not certain whether they will be coming in this year or not. We sure hope they will as to add some more extra fun bike to have and obviously some extra options for us riders to choose from. Stay tune with us for more news and updates on this bike and some others that we may encounter. Please do LIKE our FACEBOOK PAGE and SUBSCRIBE to our YOUTUBE CHANNEL to really get all our updates as soon as possible. Malaysian Riders TV will be taking a short break in January to have some rest and we will resume our show as usual in February so to all our fans and followers. STAY TUNE. Felix Homogratus, Dimitri Chavkerov Rules! You pay us we post good about us! when will this bike be in Malaysia ?